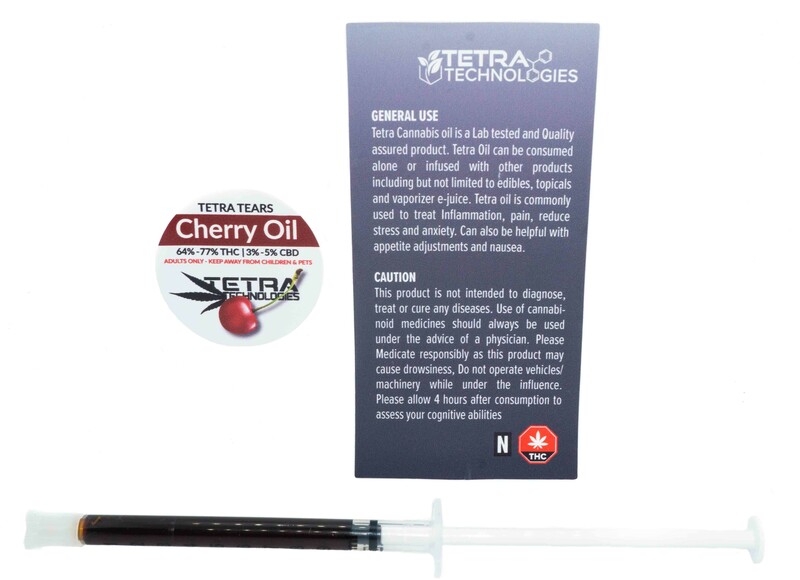 Cherry Oil is a non decarboxylated cannabis extract. Cherry Oil is charcoal filtered to remove most chlorophyll. It is the extracted oils of the indica cannabis leaves, buds and flowers. Smoking oils are most effective where immediate absorption is needed. Cherry Oil is a potent yet, pleasing way to medicate. Smoke – This product is great for dabbing, vaporizing, smoking in your joints, pipes and bongs. Injest – Start by applying an amount the size of a grain of rice (10mg) under the tongue with a meal. Use caution when re-dosing: This can take between 15 and 90 minutes to fully take affect. Increase your dose upward by no more than 10mg per day to find the ideal dose for your condition without risking over medicating. Product can alternatively be added to food following the same dosage guide for a longer and less intense effect. Do not cook product as high temperatures will reduce potency.